My attempts to distract myself from my impending due date and the associated waiting game continue. So today I completed a crochet project for the first time ever. 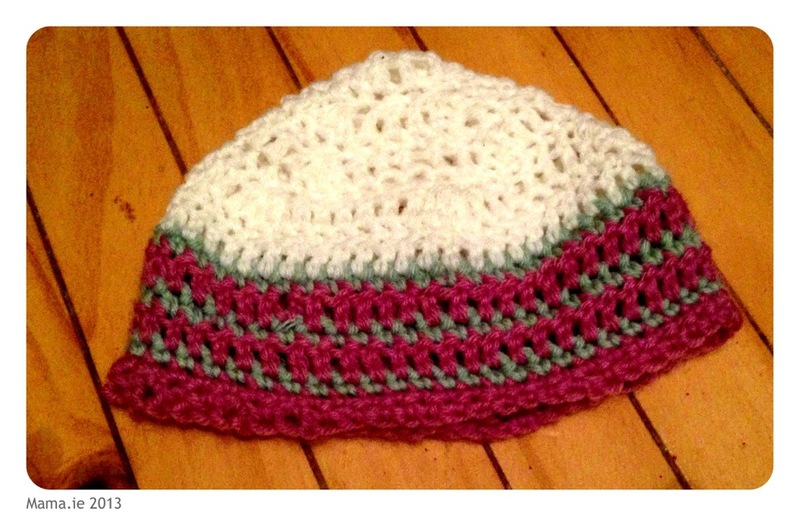 It took a few YouTube videos to learn some stitches and I had to redo the first few lines of my work more than once but I made a little baby hat. It’s far from perfect. For a start, I didn’t turn my work for the first three rows, and by the time I figured that out I was unwilling to start again so I just kept going anyway. But my biggest problem was that I kept losing stitches and I’m not sure where. I suspect that when I reached the end of a row, I wasn’t picking up the last stitch or I was picking up the wrong “first stitch” and somehow losing a stitch instead. Any tips from experienced crocheters would be appreciated! Updated to add: As baby didn’t arrive during the night, this morning I learned how to crochet a flower. I’ve used it to cover the most obvious mistakes in the hat. It’s a little big, but since I have no idea how to size a crochet pattern it will have to do! You’ve done very well. 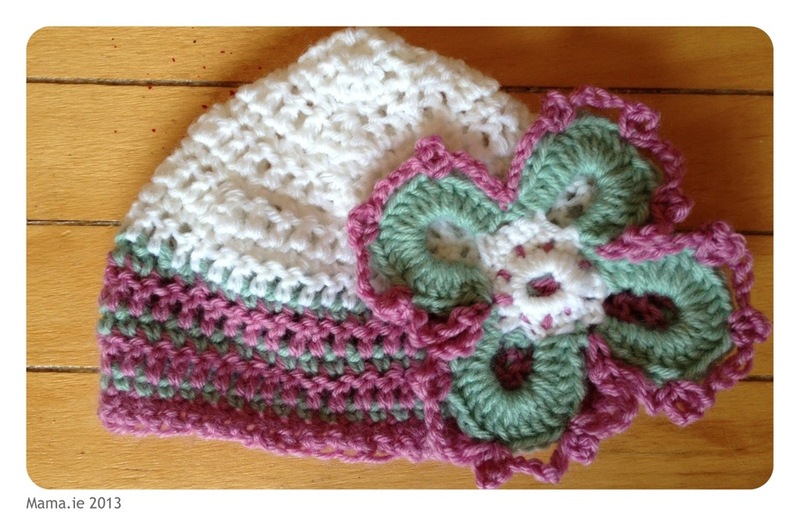 I started crochet when I was waiting on my second baby too but I only managed (sort of) squares and only in one colour, your hat looks lovely. I had to “arrange” it a bit for the photo to make it look round Joanna, but it’s not bad for a first attempt. I might try something else today. looks great Lisa. You could be an expert by the time Little Woman arrives. Only joking.